Here's What Putin Didn't Tell Snowden About Russia's Spying : The Two-Way When the NSA leaker asked the Russian leader about his nation's electronic eavesdropping, Putin said there's no "mass system." The Center for Strategic & International Studies says there is. Russian President Vladimir Putin, who appears not to have told the whole story about his nation's surveillance programs. "Does Russia intercept, store or analyze in any way the communications of millions of individuals?" 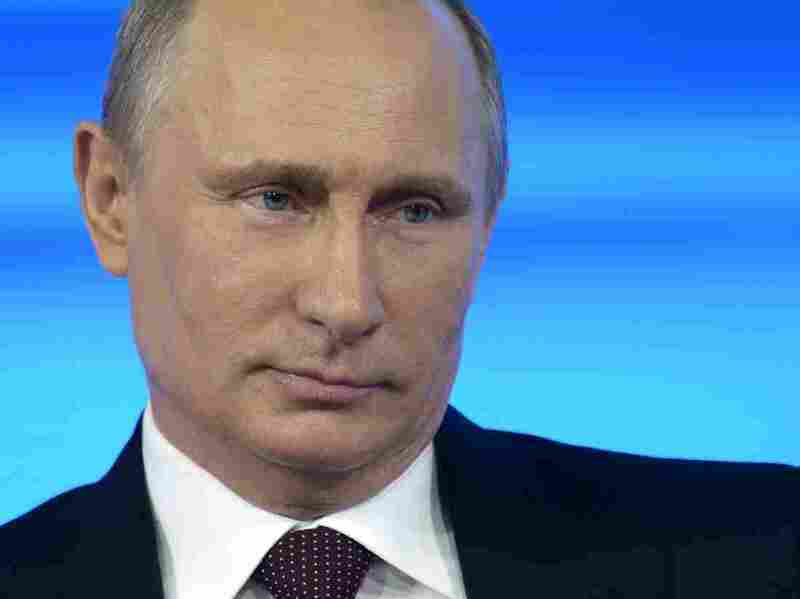 former National Security Agency contractor Edward Snowden asked Russian President Vladimir Putin on Thursday. "We don't have a mass system of such interception, and according to our law it cannot exist," the Russian leader responded. Well, as NPR's Tom Gjelten tweets, the bipartisan Center for Strategic & International Studies has now provided "an actual answer" to Snowden's query. "SORM is routinely used against political opponents and human rights activists to monitor them and to collect information to use against them in 'dirty tricks' campaigns. Russian courts have upheld the FSB's authority to surveil political opponents even if they have committed no crime. ..."
"Others have pointed out that Putin's response appears to be the strongest denial of involvement in mass surveillance ever given by a Russian leader — a denial that is, generously speaking, likely to be revisited by journalists. "In fact, Putin's response was remarkably similar to Barack Obama's initial, sweeping denials of the scope of the NSA's domestic surveillance programs, before that position was later shown to be both untrue and indefensible."